If there is one thing we have noticed over the past 10 years in school, it is the spelling of our students. It has seemed like the students coming to us are having such a difficult time knowing how to spell words. We have been strong advocates for what we call “Word Work”: breaking words down into patterns and using them correctly in context. We have developed four resources that will help you teach word work and spelling to your students in a fun and engaging way. No more pre-test Mondays and post-test Fridays! That is a thing of the past! 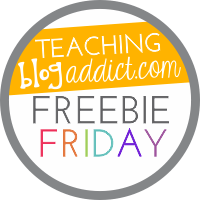 This resource contains 18 word work activities for your students to use with any activity involving the use of words for better comprehension and understanding. The cards include working with homonyms and homographs, synonyms and antonyms, prefixes and suffixes, word find puzzle, writing a song, rhyming words, and much more. Also included in the document is a handy check off sheet so you know what choice your students have made with the activities. With this activity, students will have fun being able to make choices during the week. Instead of assigning your students with the same activity each day, give them choice of how they want to show that they are mastering the spelling patterns. There are nine choices on the sheet in a tic tac toe format. Enjoy! 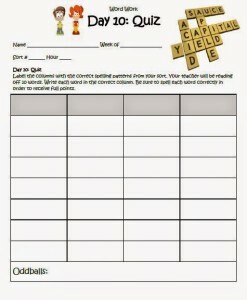 The intention of this activity is to have students think about words and the letter combinations that make up words. There are 50 “Challenge” cards included. The cards work best if they are printed off on a heavier paper and then laminated. The cards can also be bound together for a station or they can be stacked loosely also- whatever works best for you. Each card contains four pictures. Students are to look at the pictures and decide what they have in common. The letters to choose from are listed towards the bottom of each card. For most cards, not all 11 letters will be used. The number of letters in the word are located at the very bottom of each card. 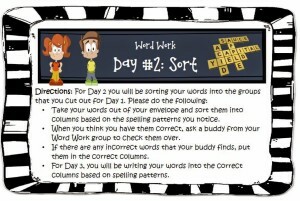 Here is a great resource to use when teaching your students patterns in spelling or word work. 1. 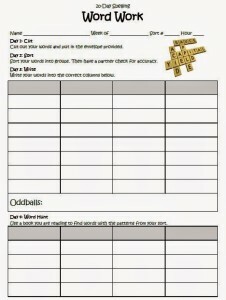 Description cards for students that include the task that they have to do for each of the 10 days. 2. 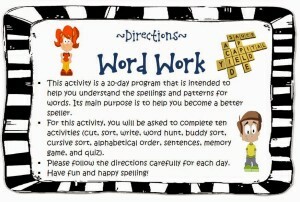 A student packet where the students show evidence of their word work or spelling that you can collect. 3. A quiz on Day 10 to check accuracy and mastery of a spelling pattern. These resources have helped our students become better spellers, and we know they will help your students too!